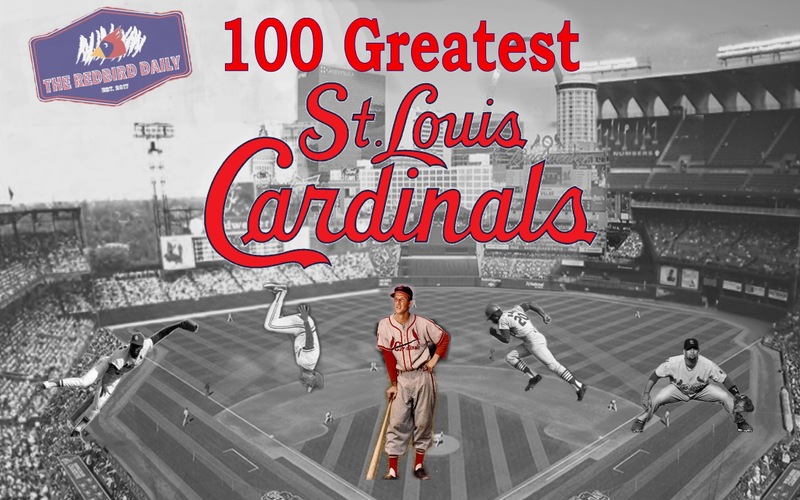 Welcome to the 100 Greatest St. Louis Cardinals Series, an objective, statistically formulated ranking of the best players in franchise history. This series was originally published at the Redbird Daily, but is now proud to call Cards Conclave home. This list was formed through an exhaustive statistical formula that sought to rank Cardinals players relative to each other. To find out how the sausage was made, check out the Introduction Article. To check out the final review and how our staff would have rearranged the rankings, click here. Or, you can visit the individual player articles by simply clicking on their name in the list. Honorable Mention: Tim McCarver, Solly Hemus, Ken Reitz, Lonnie Smith, Terry Pendleton, Brian Jordan, Garry Templeton, Andy Benes, Paul Dean.